Israeli occupation forces (IOF) stormed three villages to the south of Jenin at dawn Monday and arrested a Palestinian citizen after searching his home. Local sources said that IOF soldiers mounting army jeeps broke into the village of Yabad and arrested Nuruddin Attatra, 21, after ransacking his home. 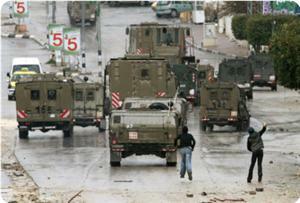 The soldiers also stormed the villages of Arrabe and Fahme. The sources pointed out that the IOF soldiers had intensified their presence in and around Yabad over the past couple of weeks. They said that the soldiers routinely burst into the village and its houses as part of a mass punishment against the inhabitants after claiming that youngsters in the village throw stones at the soldiers. Israeli naval forces continued to carry out attacks on Palestinian fishermen in the Gaza Strip during the reporting period (01-30 September 2013), including (6) shooting incidents that led to wounding one fisherman and causing partial material damages to a fishing boat, and a chasing incident that led to the confiscation of two fishing boats. The issuance of this factsheet coincides with the aggravation of Palestinian fishermen’s suffering in the Gaza Strip due to the ongoing Israeli naval blockade and preventing fishermen from fishing freely as well as the severe lack of fuel supplies needed to run the fishing boats and equipment. According to PCHR’s follow-up, hundreds of Palestinian boats have broken down and more than 4,000 fishermen have suffered due to being denied access to the fuel needed for their work. This has led to serious deterioration in living conditions of a population of more than 75,000 that depends on the fishing sector as a main livelihood. 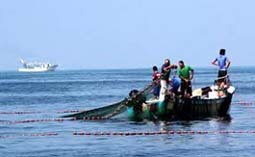 Although Israeli authorities limited the fishing distance in Gaza Sea to 6 nautical miles, they neither complied with that distance nor allowed Palestinian fishermen in the Gaza Strip to sail and fish freely, and continued their attacks against them. PCHR documented all attacks carried out within the distance of 6 nautical miles, which proves that Israeli forces' policies aim to tighten restrictions on the Gaza Strip's fishermen and their sources of livelihood. Israel’s attacks against Palestinian fishermen, who do not pose any threat to Israeli soldiers, in the Gaza Strip constitute a flagrant violation of international humanitarian and human rights law, relevant to the protection of the civilian population and respect for its rights, including every person's right to work, and the right to life, liberty and security of person, as codified in Article 3 of the Universal Declaration of Human Rights and Article 6 of the International Covenant on Civil and Political Rights (ICCPR), despite the fact that Israel is a State Party to the Covenant. During the reporting period, PCHR documented 6 cases in which Israeli forces fired at Palestinian fishermen in the sea off the Gaza Strip shore. These attacks took place within the 6 nautical miles allowed for fishermen to sail and fish in, according to the cease fire agreement concluded between Israel and Palestinian armed groups under Egyptian and international auspices. On 18 September 2013, Israeli forces opened fire at a Palestinian fishing boat off the Gaza Valley. As a result, the crane of the boat was hit and its belt fell on Salim Khalil Salim al-Fassih, 48, which resulted in injuries in his right hand’s fingers that led to severe bleeding. Al-Fassih was transferred to Shifa Hospital in Gaza, and the doctors had to amputate one of his right hand’s fingers. while sailing at approximately one nautical mile off Rafah port. Khalil Ibrahim al-Bardawil said that there weren’t any fishermen on the two fishing boats, and that Israeli naval forces confiscated two generators and six torches from the boats. - At approximately 18 September 2013, Israeli naval forces opened fire at a Palestinian fishing boat belonging to Saleh Kabajah while sailing at approximately 4 nautical miles off Gaza Valley. Al-Haq and the Palestinian Centre for Human Rights (PCHR) called on the International Criminal Court (ICC) Prosecutor, Fatou B. Bensouda, to take legal action against the Israeli crimes and to investigate the current situation in the Palestinian occupied territories. Al-Haq and the Palestinian Centre for Human Rights (PCHR) held a meeting with the International Criminal Court (ICC) Prosecutor, Fatou B. Bensouda, to present a legal opinion, prepared in cooperation with Dr. Michael Kearney of the University of Sussex. The opinion provides legal justification for the Prosecutor to move forward on a declaration submitted by the Palestinian leadership in 2009, accepting the jurisdiction of the Court under Article 12 (3) of the Rome Statute. Speaking after the meeting, Shawan Jabarin, the General Director of Al-Haq stated: “With this opinion we are putting forward our position that the rights of Palestinian victims are not subject to compromise. Any negotiated agreement that sidelines the pursuit of justice through the ICC, is an agreement that lacks the representative support of Palestinian civil society." "Our role as Palestinian human rights organizations is to pursue justice and accountability regardless of negotiations and we condemn any pressure exerted to the contrary. This is especially important in light of the fact that violations of international law continue unabated despite ongoing negotiations. We call on the Prosecutor to move forward on the 2009 Palestinian declaration and simultaneously urge the Palestinian leadership to support such a move, in addition to acceding to other international instruments", he added. Jabarin called on PA to support this step by joining international conventions of human rights and international humanitarian laws a whole year after the General Assembly resolution to accord Palestine non-Member Observer State status. It is worth noting that due to restrictions on movement in and out of the Gaza Strip, Raji Sourani, the Director of PCHR was prevented from personally attending the meeting. The meeting was however, also attended by the President of the International Federation for Human Rights (FIDH), Mr. Karim Lahidji, who chose to be present as an indication of support for the position taken by Al-Haq and PCHR. 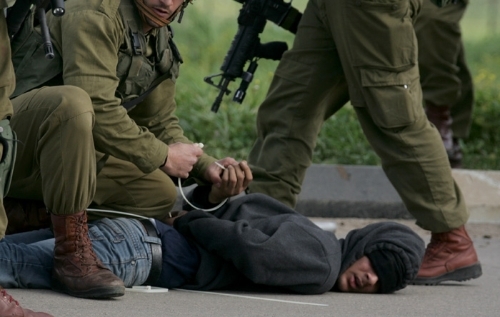 The Israeli occupation forces (IOF) kidnapped at dawn Monday 15 Palestinian citizens in different West Bank areas and clashed with some young men who tried to prevent the soldiers from detaining their friends. In Beit Ummar village to the north of Al-Khalil, the IOF kidnapped two young men identified as Mahmoud Awad and Maysar Abu Mariya. The IOF also kidnapped two Palestinians from their homes near Bethelehem and three others in Beit Jala town and Yabad town near Jenin. 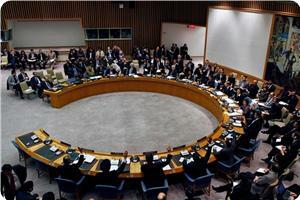 Three others young men were also taken prisoners during raids on the refugee camps of Balata and Askar. The IOF also kidnapped four young men after they claimed that one of its military patrols came under fire in Azzun town to the east of Qalqiliya city. Local sources from Jenin reported that scores of Israeli troops aboard 12 military vehicles stormed Yabad town at three o'clock at dawn and violently ransacked the house of a young man named Nouraddin Atatreh before taking him in chain to an unknown place. Furthermore, the IOF maltreated and humiliated on the same day Palestinian women and their children after intercepting cars and buses they were aboard. A Palestinian security official told Quds Press that the IOF set up a checkpoint at the entrance to Al-Khalil city near the bypass road known as Highway 60, stopped all passing vehicles and forced the passengers including women and children to get out and stand in long lines for search. Such behavior raised the ire of the Palestinian passengers, especially since the IOF usually order the men alone to step out of the vehicles without the women and children. Jewish settlers attacked Beit Egza village, to the north west of occupied Jerusalem, at dawn Monday and tried to burn down its mosque. Mohammed Ghaith, a resident of the village and an eyewitness, told the Quds Press reporter that he saw five young Jewish settlers while drawing racist signs and insults to prophet Mohammed on the mosque’s wall before dawn. He said that the assailants failed to enter the mosque and torch it because of the presence of vigilantes inside it. He added that the settlers damaged the mosque’s gate and spray-painted the Star of David on its wall along with other racist slogans. 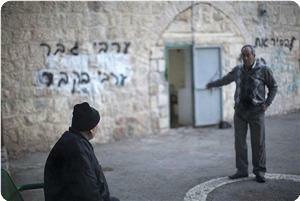 Ghaith said that the settlers then burned down two cars and sprayed racist and insulting graffiti on nearby walls. He said that he saw the settlers then flee to the nearby Ramot settlement, adding that it was not the first time the village and its inhabitants were targeted by Ramot settlers but it was the first time that they dared attack the mosque and try to torch it. The Israeli police claimed they arrested some Jewish students of different Talmudic institutes in occupied Jerusalem who formed lately a criminal gang intended for attacking the Palestinians and their property. A spokesman for the Israeli police said the investigations are still underway and there would be other arrests among members of this gang. The spokesman added that the suspects were interrogated and confessed to committing a number of criminal and abusive acts against Palestinians and their vehicles in different areas of Jerusalem. 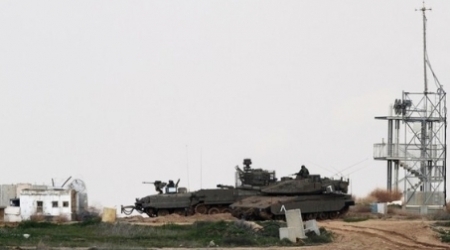 A number of Israeli military vehicles penetrated on Tuesday morning Beit Lahia to the north of Gaza in a new breach of the ceasefire, local media reported. Eyewitnesses said four Israeli bulldozers pushed into the area of Abu Samra north of Beit Lahia and moved dozens of meters along the borderline. He pointed out the vehicles opened fire at the citizens' properties. Late Saturday night, a nine-year old girl was shot and injured while standing outside her home in the Israeli settlement of Psagot, located next to the Palestinian village of el-Bireh, in the central West Bank. The child, identified as Noam Glick, was taken to an Israeli hospital, where she is listed in stable condition. She was hit by a single shot fired from a homemade weapon. The weapon was left by the assailant at the scene. The assailant has not been apprehended, and Israeli police say they have no leads in the case. 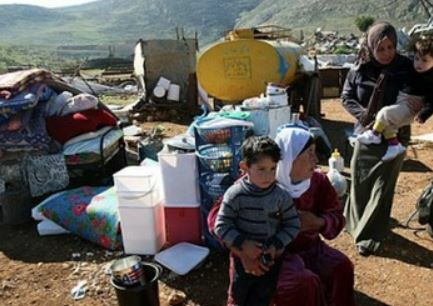 But the Israeli military has stormed the Al-Biereh town, and surrounding areas in the hours since the attack, and have detained and interrogated a number of residents. Like in the shooting of an Israeli solider two weeks ago, the police and military intelligence say they had no advance warning that an attack was going to take place. The police say this was likely an unplanned attack by a single, probably mentally unstable, assailant who acted without coordination with any armed resistance. Following the wounding of the child, Israeli settlers stormed al-Jalazun refugee camp north of Ramallah and began throwing stones at villagers, and vandalizing Palestinian cars. 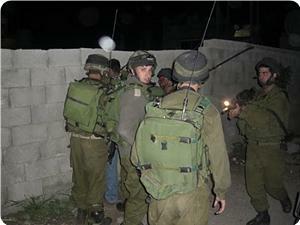 The Israeli occupation forces (IOF) kidnapped at dawn Sunday 10 Palestinian citizens from their homes in Al-Khalil and Bethlehem cities and raided different areas of Nablus city. Among the detainees were two children identified as Amir Zayyah, 15, and Ziyad Subaih, 15, and they were kidnapped during violent raids on their homes in Bethlehem. During the detention campaign, the IOF stormed Idna town, west of Al-Khalil, and established a checkpoint inside it and maltreated its residents. They also launched raids in Samua and Dahiriya towns to the south of Al-Khalil. The IOF also shut down today morning Innab checkpoint between Nablus and Tulkarem and embarked on checking the IDs of Palestinian citizens and interrogating some young men and students. 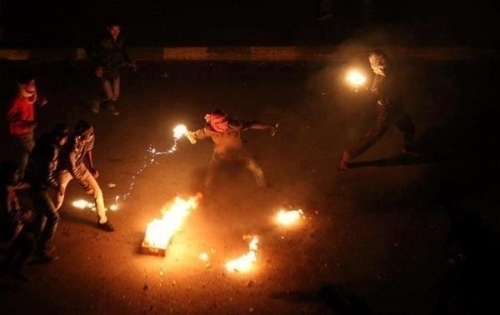 In an earlier incident, violent clashes broke out yesterday evening at the entrance to Al-Fawwar refugee camp between Palestinian young men and Israeli troops. The IOF established a checkpoint at the entrance to the camp, occupied its main street, intensified their presence in the adjacent farmlands and embarked on firing a hail of bullets and tear gas grenades at the angry young men who responded with throwing stones. Meanwhile, the IOF closed on Saturday a street in Dura town, south of Al-Khalil, for several hours at the pretext of providing security for Israeli settlers living nearby. Eyewitnesses told the Palestinian information center (PIC) that the IOF blocked the road leading to Al-Majd and Beit Awa villages to the west of Al-Khalil and isolated them from Dura town in order to protect Najihut settlers who live illegally on Palestinian-owned lands in Khirbet Salama. 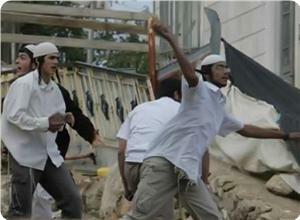 The IOF also stormed on Saturday evening Burin village, south of Nablus, and violently attacked its residents. Villagers told the PIC that Israeli troops raided one of the houses in their village and physically assaulted its inhabitants. According to them, the invading troops fired tear gas grenades into the house and kept assaulting their neighbor Abu Mursi and his pregnant wife. The villagers added that they hastened to help the family of Abu Mursi after hearing cries for help coming from the house, while the troops mounted the rooftop of the house and kept firing tear gas grenades and rubber bullets at everyone trying to save the family. Israeli occupation forces stormed on Saturday parts of the City of Ramallah, the Seat of the Palestinian Authority, following a non-fatal shooting of a Jewish settler girl at the nearby colony of Bsagot. Palestinian sources and eyewitnesses reported that hundreds of Israeli troops, backed by armored vehicles, stormed the town of al-Bireh, Ramallah's twin city, searching residential homes and arresting youngsters from the streets. One eyewitness from the Sath Marhaba neighborhood described Israeli soldiers' behavior as "violent and nervous." Earlier, a young Israeli settler was wounded from gunfire the Israeli occupation army said originated in surrounding Palestinian localities. 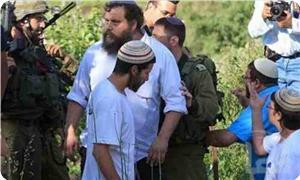 Israeli occupation sources also suspected infiltration by Palestinian resistance activists into the Jewish settlements. The Israeli media spoke of a "Ramallah sniper"
This is the third incident of its kind in less than two weeks. On 22 September, an Israeli occupation soldier was shot a killed in Hebron at the hands of "a professional Palestinian sniper." 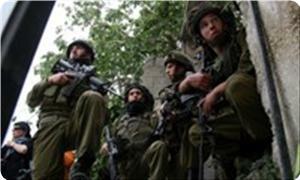 Israeli troops launched an aggressive manhunt campaign to apprehend the suspected Palestinian sniper but to no avail. A day earlier, another soldier was killed near the northern Palestinian town of Kalkilya by a Palestinian who reportedly wanted to exchange the soldier's body for the release of his brother who is spending a heavy sentence in an Israeli jail. It is still uncertain if these resistance attacks which Israel calls terrorist attacks are individualistic in nature or constitute a definite portent for an outbreak of a new intifada or uprising against the Israeli occupation. Palestinians are facing difficult political and economic conditions and speculations that a new intifada is in the offing are rife in many quarters. According to Saleh Aruri, a high ranking Hamas official, the latest attacks show that there is a state of bitterness and disenchantment prevailing in the West Bank . "We have the failed peace process, the continued settlement expansion; a growing settler population in the West Bank …along with relentless Israeli efforts to take over the Aqsa Mosque….These things provoke ordinary Palestinian and push them to rise up against the occupation." Aruri, who was speaking during an interview with the al-Aqsa TV Saturday evening, said Israeli behavior and PA conduct were leaving the Palestinian masses very little hope. "It is not important who is carrying out these acts. The important thing is that they are happening despite the scandalous security coordination between Israel and the PA regime in Ramallah. Last month Hamas official Mousa Abu Marzouk was quoted as saying that "We are already on the eve of an intifada." Moreover, one Fatah official was quoted by al-Jazeera as saying that "an uprising of some sort is inevitable." "You surely don't expect me to tell you an uprising will take place on a given day and time. But I can tell you with a high degree of certitude that an intifada is coming, perhaps sooner than many of us think," Abu Jihad, Fatah grass-roots leader. Both Israeli and Palestinian spokespersons are expressing pessimism over the recently presumed talks between Israel and the PA. Most observers note that a "miracle" would be required for the talks to succeed given the extremely insurmountable problems facing these talks. Others readily contend that there is no real chance left for the creation of a viable and territorially contiguous Palestinian state on the West Bank , thanks to unmitigated Jewish settlement activities and the Judaizing of East Jerusalem. Violent clashes broke out on Friday evening between Palestinian young men and Israeli soldiers in different areas and towns near occupied Jerusalem. Several young men sustained injuries and some others were taken prisoners during the events, according to local sources. The sources also affirmed that young anti-wall activists from the popular resistance made some holes in the segregation wall near Abu Dis university in Abu Dis town to the east of Jerusalem. They also attacked an Israeli military jeep posted behind the segregation wall with Molotov cocktails, starting a small fire. Consequently, the Israeli occupation forces (IOF) raided the vicinity of the university and kidnapped three young men, whose identities are still unknown. Some trees on campus also caught fire when the IOF fired tear gas and stun grenades at the activists. Another young man was also kidnapped from his home in Abu Dis during the raid. Many Palestinian citizens suffered tear gas suffocation during other clashes in Izariya town and its nearby Ras Qabasa area. In a separate incident, the IOF kidnaped at dawn Friday five senior figures of the popular front for the liberation of Palestine (PFLP) in Nablus and two other Palestinians in Al-Khalil. Local sources reported that the IOF stormed Nablus city after midnight and raided homes in different neighborhoods. The IOF also raided a PFLP office in Rafidia neighborhood and confiscated documents and computers. Clashes also broke out between the invading troops and Palestinian young men in different neighborhoods of Nablus during the campaign. In Al-Khalil, the Hebrew radio claimed that the Israeli army seized homemade weapons and explosive devices, and took two Palestinians prisoners, noting that the detainees were wanted by the Shin Bet. Israeli forces injured dozens of Palestinian activists on Friday at demonstrations against the Israeli separation wall across the occupied West Bank. In Bilin, west of Ramallah, six were injured and dozens suffered tear-gas inhalation as Israelis attacked demonstrations protesting the separation wall and demanding the return of village lands illegally confiscated to build the wall. Palestine Satellite Channel reporters Ali Dar, Salah al-Khawaja, and Mohammad Abed, 19, were struck by tear-gas canisters, while Mohammad Abdul-Fattah Burnat, 24, was shot by a rubber-coated steel bullet in the back. Luisa Morgantini, former vice president of the European Parliament, and lawmaker Mustafa Barghouthi were also among the injured. Barghouthi said Israeli forces attacked the demonstration and fired stun grenades, tear gas and rubber-coated steel bullets widely. He added that Israeli soldiers tried to restrict the movement of ambulances and paramedics. Barghouthi argued that Israeli “suppression” would not break the will of Palestinians, and he added that the popular resistance along with the global Boycott, Divestment and Sanctions movement against Israel was the way to end settlement activity and increase the steadfastness of Palestinians. In Kafr Qaddum, near Qalqiliya, dozens suffered tear-gas inhalation as hundreds of Palestinians clashed with Israeli forces who fired tear gas and stun grenades. Coordinator for the Popular Struggle Committee Murad Shtewi said that hundreds had participated in the demonstration in order to mark the olive-picking season. 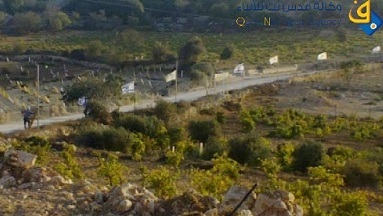 In Kafr Qaddum, several villagers were prohibited from reaching their lands to harvest their olive trees, he added. During olive-picking season, Israeli settlers often attack Palestinian farmers as they attempt to harvest their crops and the Israeli occupation forces often defend settlers as they launch attacks. In Nabi Saleh, protesters marched toward confiscated village lands but were stopped by Israeli forces who fired tear gas, rubber-coated steel bullets, and stun grenades. Demonstrators raised Palestinian flags and chanted slogans condemning the Israeli occupation, settlements and international impunity towards Israeli action. Israeli forces had earlier closed the village’s entrances and deployed dozens of soldiers near a spring that was seized by settlers four years ago. They declared the area a closed military zone, a common Israeli tactic for appropriation of Palestinian land for military or settlement usage. Israel began building the separation wall in 2002, and the route has been the target of regular demonstrations by border towns whose land is cut off by its path. Israel has regularly confiscated large plots of Palestinian land in order to build the wall. When the 435-mile barrier is complete, 85 percent of it will have been built inside the occupied West Bank. Israeli occupation forces (IOF) suppressed the peaceful anti-apartheid wall and settlements marches in the West Bank, staged in solidarity with the prisoners and Jerusalem. Coordinator of the National Committee against the Wall and settlements in Bethlehem Hassan Brigiya reported that the Israeli forces quelled the weekly march in the town of Ma'asra and attacked the demonstrators, and prevented them from reaching the wall. The protestors called for expanding the participation in the popular resistance activities against the settlement activity and the wall, and for making every possible effort to release the prisoners from the occupation jails. In Bilin, 6 citizens were injured as the Israeli forces fired rubber bullets and tear gas and stun grenades at them. A local source explained that upon the arrival of the protestors to the liberated territories near the wall, the occupation forces began firing rubber bullets, tear gas canisters and stun grenades at them. The former deputy head of the European Parliament Luisa Morgantini, Palestinian MP Dr. Mustafa Barghouthi, and dozens of citizens and international solidarity activists suffered suffocation. The IOF also suppressed the weekly anti-settlement march of Nabi Saleh which led to dozens of cases of suffocation due to gas inhalation. They added that the Israeli military vehicles subsequently stormed the village, which led to the outbreak of clashes with the citizens. The IOF have closed since the early morning hours the entrances to the village of Nabi Saleh and imposed a security cordon on it. Nine Palestinians were injured when Israeli forces opened fire on protests in al-Ram with live and rubber bullets on Friday. Dozens also suffered tear-gas inhalation in the clashes which occurred at the east entrance of al-Ram. 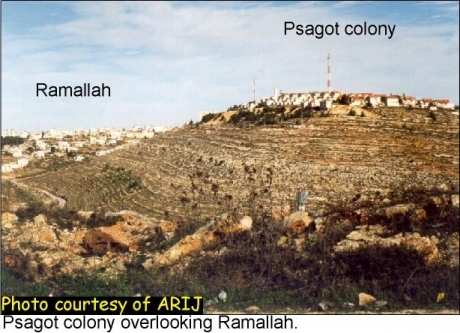 Al-Ram is in an area of East Jerusalem near Ramallah that is completely encircled by the Israeli separation wall and Israeli settlements. Three Palestinians were injured with live bullets that hit their legs and stomachs, while six others were struck with rubber-coated steel bullets in different body parts, medics at the Palestinian Medical Complex said. Dozens of Palestinian passersby also suffered tear-gas inhalation. Israel began building the separation wall in 2002, and the route has been the target of regular demonstrations by border towns whose land is cut off by its path. Israel has confiscated large plots of Palestinian land in order to build the wall. When the 435-mile barrier is complete, 85 percent of it will have been built inside the occupied West Bank. 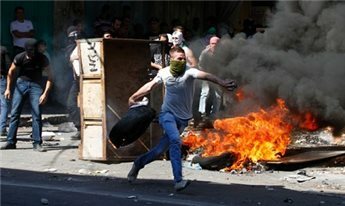 Clashes erupted Friday between young Palestinians and Israeli forces after the latter raided the city of Nablus at dawn. Media outlets reported that violent clashes erupted in several areas in the city, especially at Dwar as-Shuhada and near the vicinity of the old city. 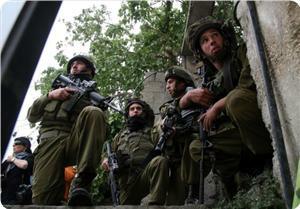 Israeli soldiers stormed several houses and arrested a number of Palestinians. The soldiers also stormed the headquarters of the The Popular Front for the Liberation of Palestine (PFLP), then proceeded to sabotage and confiscate its contents. Sources from the Palestinian Prisoner's Society (PPS) said that IOF troops arrested Zaher al-Shttary, Mohammed Shatawi, Thabet Nassar and Yousef Abu Gholmeh after storming their offices in the PFLP headquarters. Raed Amer, Head of PPS condmned the ongoing IOF raids of Nablus and considered them procedures that aim to sabotage the security and stability of the Palestinian Authority. Dozens of Israeli soldiers invaded the northern West Bank city of Nablus, and a number of nearby villages, and kidnapped four Palestinians, including a political leader of the Popular Front for the Liberation of Palestine (PFLP). Local sources have reported that local youths threw stones and empty bottles at the soldiers after they invaded the Old city of Nablus. The sources added that a local store caught fire due to the large number of concussion grenades fired by the invading soldiers. The soldiers kidnapped Zaher Ash-Shashtary, a senior PFLP leader, along with Thabet Nassar, and a third resident who remain unidentified, in addition to kidnapping Yousef Abu Ghalama from Beit Forik nearby town. Local sources in Nablus said that the soldiers broke into and searched several homes in the center of the city, while sounds of explosions were heard in different nearby areas.